Have you got a favourite painting? 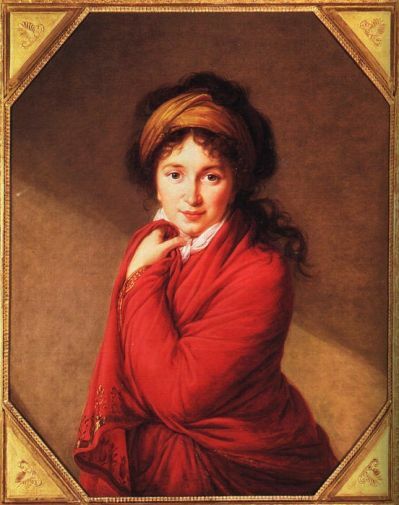 Mine is ‘A Portrait of the Countess Golovine’ painted by Elisabeth Vigee-Lebrun, sometime around 1797. It is, unsurprisingly, a portrait of Countess Varvara Nikolaevna Golovine, a talented musician and artist from Russia. Elisabeth and the Countess became great friends and I love the way the Countess is smiling in the portrait, with a red shawl draped around her shoulders and her dark curly hair swept up in behind a scarf. The painting belongs to the Barber Institute of Fine Arts, Birmingham, which is one of my favourite galleries. I love going to art galleries and looking at paintings, but at first I found it quite a daunting thing to do. Have you ever been to an art gallery and not known where to start? Or heard art critics talking about symbolism, composition and form but not understood? Sometimes looking at art can sound difficult, and talking about it can be a whole other language! 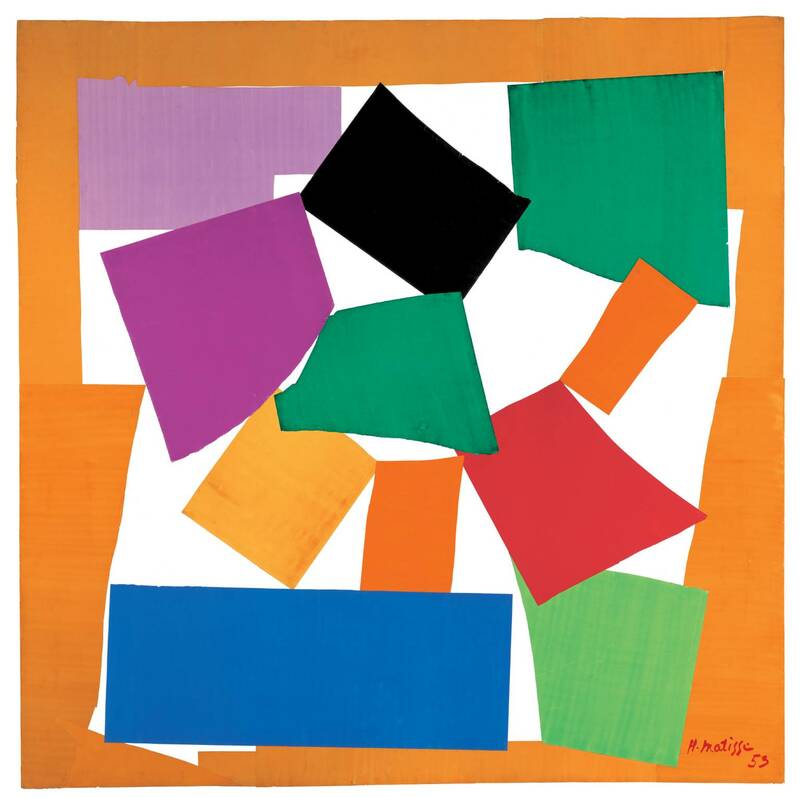 But looking at art doesn’t have to be complicated. Things like symbolism, where objects in paintings are used to represent something that’s happening, like a skull symbolising death, can be important and the composition, or the way things in the painting are arranged, can tell us a lot about the artist and why the painted what they did. However, you don’t have to lean all of these to learn how to look at art. Some people think that looking at art is a very personal thing. You might look at a picture of the sea and find it calming or think of how the sea seems to go on forever. I might look at it at wonder what’s lurking under the surface! Someone who lives on the coast might look at the picture very differently to someone who lives in a city and only sees the sea on holiday. In other words, who we are and the experiences we have will change how we view something. This is a very, very simple description of what is called Post-Modernism. If we all look at pictures differently, all that matters is what you think of it. It doesn’t matter what it says on the label, what the guide says or what it says in a book. It also doesn’t really matter what your parents, your teacher or the person who works at the gallery says, but don’t tell them I said that! Which painting would I have in my bedroom, if I could? If I could put any painting in the bin right now, which would it be? What’s happening in this painting? Who are the people? What might they be saying? Where is this landscape? What would I do if I could climb into it? Sometimes I even make up stories about whats happening in the painting. If you’re up for a challenge, you can try and make up a story where each painting is a different scene. Have you ever tried to tell a story which starts with a painting of Jesus being crucified and finishes with people playing tennis?! It can be fun to share what you think with other people. I find it fascinating that my family or my friends can have completely different ideas about a painting than I have, or that we can like completely different things. One of the most important things to remember is that there is no right or wrong answer when it comes to talking about art, just different ideas. Sometimes adults aren’t very good at remembering this and think that children get it wrong if they have different ideas. If anyone tells you you’re wrong, you can tell them that you are an active agent in constructing your own meaning and that you simply inhabit a different cultural and social space to them… Or in other words, your views are equally valid to adults and they’re wrong if they tell you otherwise!